Perhaps the most difficult decision is accepting the fact that you need help. If you require police assistance, counselling and advice, or just someone to talk to about a problem. Let us help in finding a solution for you. One of the more herendous aspects of social ills in Papua New Guinea has been the explosion of domestic violence cases and violence against women and children. The situation has become so bad that Government has been forced to include the issue as a indicator for progress in its short to medium term objectives and a milestone that advocate groups and human rights activists have focused efforts on. Papua New Guinea is regarded very poorly in world social indexes for the treatment of women and gender participation and in terms of support for victims the prognosis is very disappointing. There are however advocate and support groups that have been very much in the forefront of awareness programs, resolution and crisis management, safe housing and shelters, rehabilitation both of perpetrators through prisoner programs and victims through counselling and shelter agencies. A greater emphasis has need put into awareness and remedial services in recent times and though far from adequate, there are counselling services now available and support groups operating especially in the main urban centres. Help is available but because they are not readily identifiable and because of the sensitivity of the circumstances that victims or potential victims are usually in it is important that the right conduits or streams are made available so as to not make situations worse than they already are. If you are someone in such a situation, please be assured that help can be found for you but you will need to also be patient as some of these processes can be slow to action. There are people that will be able to walk you through the steps you may need to take to give you both the protection as well as release from the cause of stress you are experiencing. There are counselling services that can be called on now to at least talk to victims and then there are safe houses and legal protection facilities that can be summoned to assist where the threat is ever present. Bullying at school, in the workplace and in general society is a menace that exists all over the world and is unfortunately the leading cause for suicide in the western world. Bullying and intimidation is also very much part of the peer group problem endemic in both school and the workplace in PNG. Regrettably the majority of these instances go unchallenged or unresolved and often end tragically. 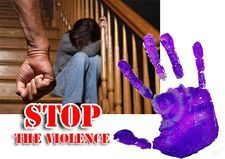 Very little exists in terms of support for many of these circumstances but it is against the law and those victimised under these situations do have recourse legally and administratively against the perpetrators or where there is a failure by an employer or superior to address such circumstances. 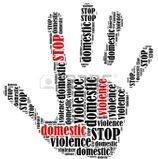 Deemed illegal by an Act of Parliament in 2000, domestic violence resulting in the excessive use of force usually by the male partner in a marriage or relationship can result in the arrest and confinement of the offending party and is now enforceable by law. It has however. been a difficult passage for enforcement as social and traditional norms have often been observed over and above the law to the detriment of the female partner in relationships. Often it is the law enforcement agency that fail observe provisions of the law which are designed to protect women from harm. HIV and AIDS no longer has the stigma it used to but the disease still has no known cure and still poses a significant threat on PNG's future human resources. Awareness has been at the forefront of the country's campaign in controlling the epidemic through the 1990's and early 2000's. There is still a lot that has to be done and the awareness programs must still be adhered to if PNG is to control the numbers of people living with HIV and/or AIDS. Corporate PNG has been at the coalface with the National AIDS Council to ensure awareness programs are expedited and broadcast throughout the private sector. There are facilities where women who are in urgent need for protection can receive protection.